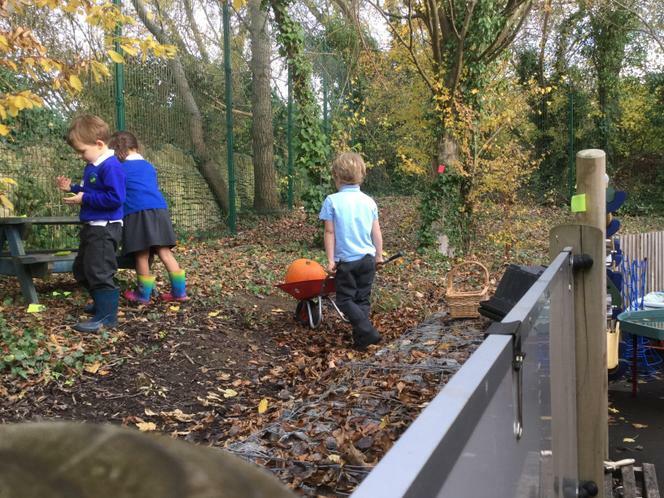 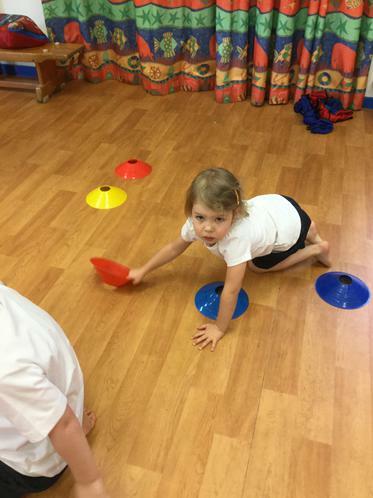 Welcome to Acorn Class Page! 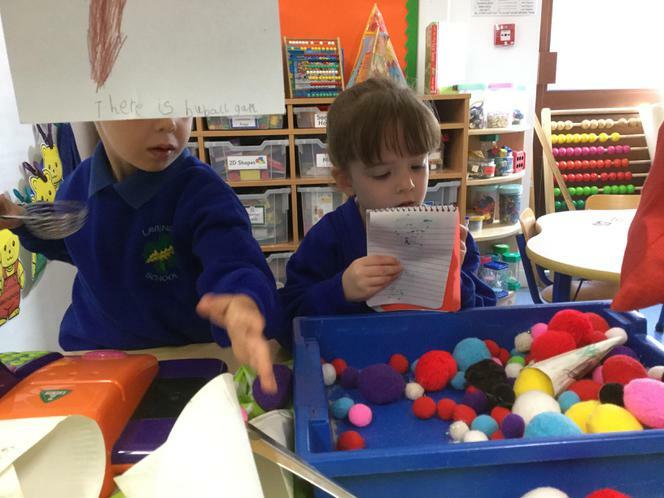 We are just introducing a new handwriting programme into Acorn Class called Kinetic Letters. 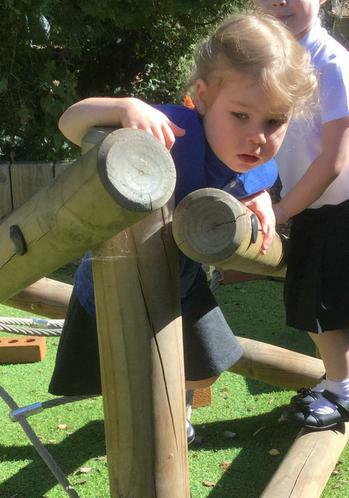 This is designed to build your child's core strength and in turn build wrist, shoulder and pincer strength to help them with their handwriting. 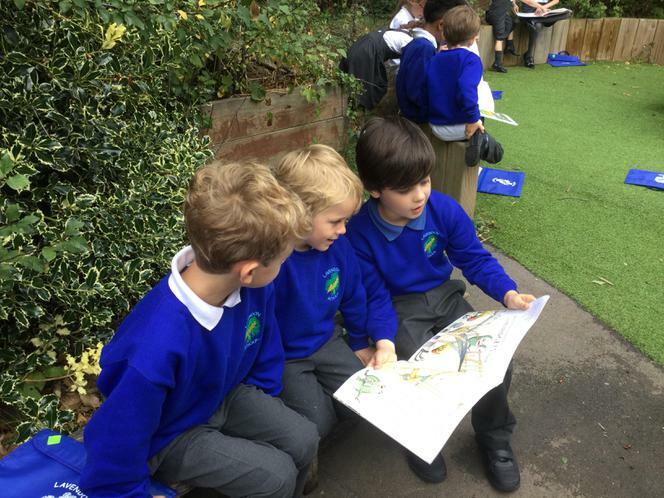 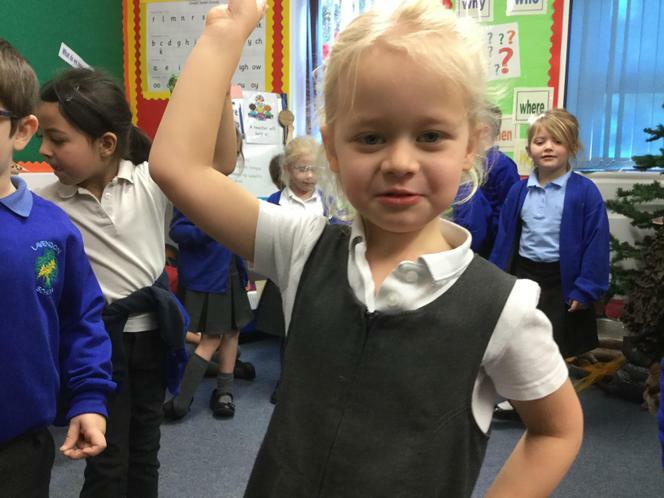 Ask your child to show you the positions we have been practising in the classroom, the Gorilla, Meercat, Penguin, Lizard, Stone Lion and Plank. 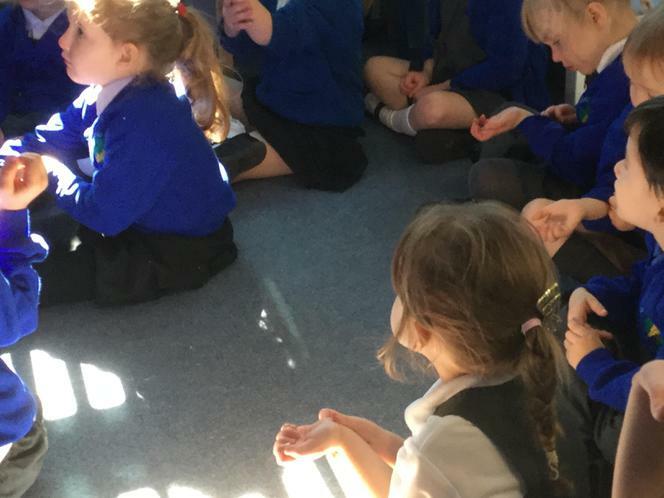 They can also show you the writing position we use, laying on the floor,resting on our forearms with our legs out straight behind us and toes down. 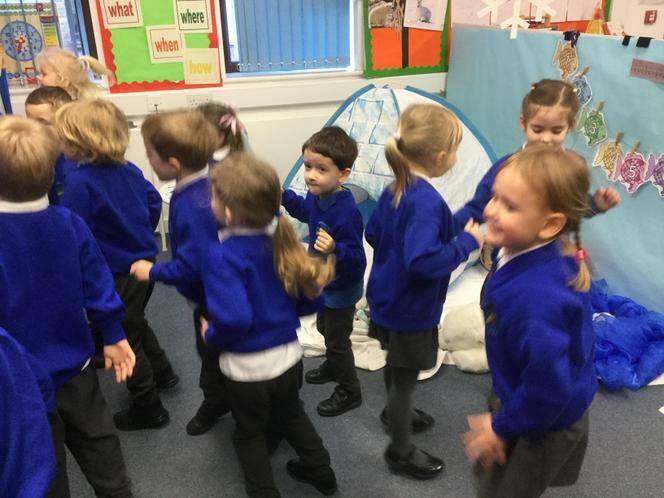 We show them how to form letters using the help of our Brave Monkey, who starts at the top of the tree and Scared Monkey who starts in the middle of the tree. 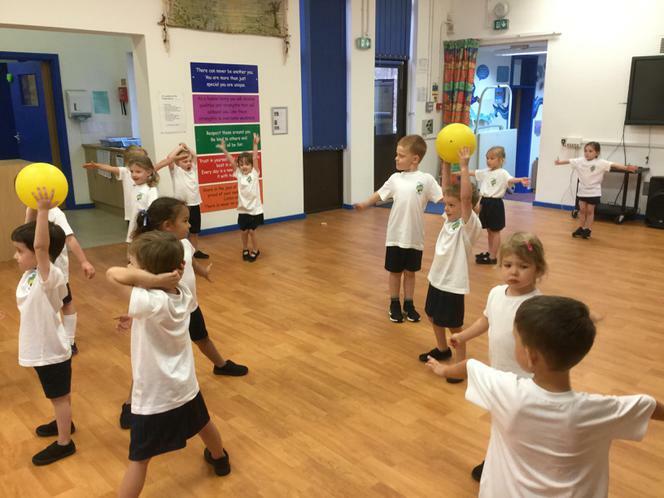 If you are interested in these activities and others that will aid your child's core strength and handwriting I have provided a powerpoint and a web link below that you may find useful. 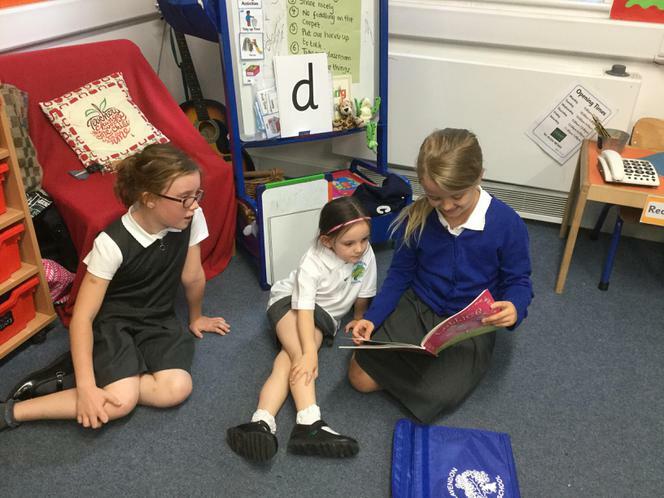 In Acorn Class we follow the Read Write Inc scheme for phonics. 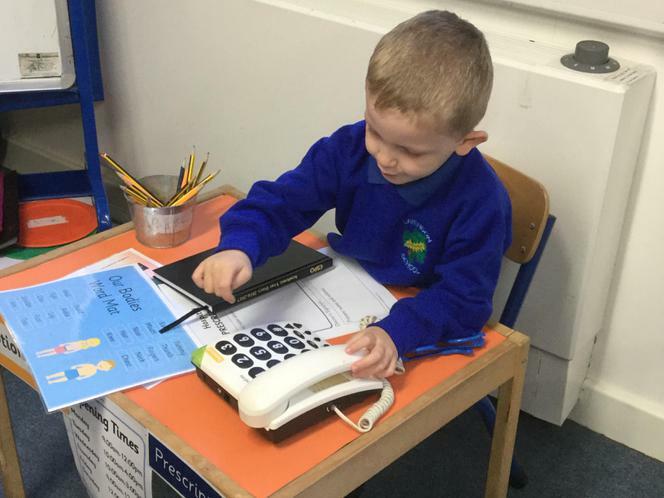 To learn how this supports us in learning to read and write please follow the web link provided below. 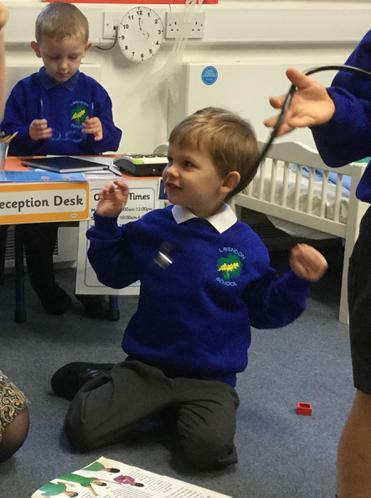 Below is a link so that you can hear how the sounds are pronounced. 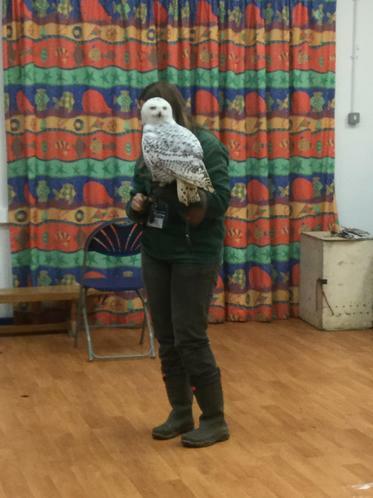 Today we met three birds that would live in the Arctic and one bird that lives around us in Lavendon. 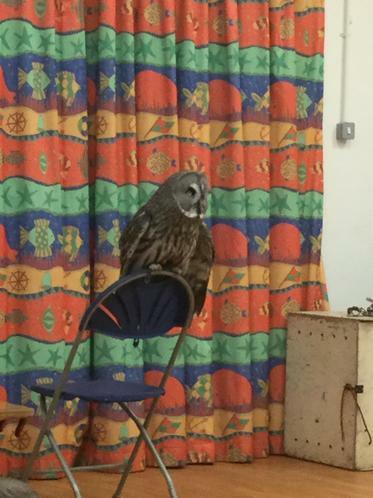 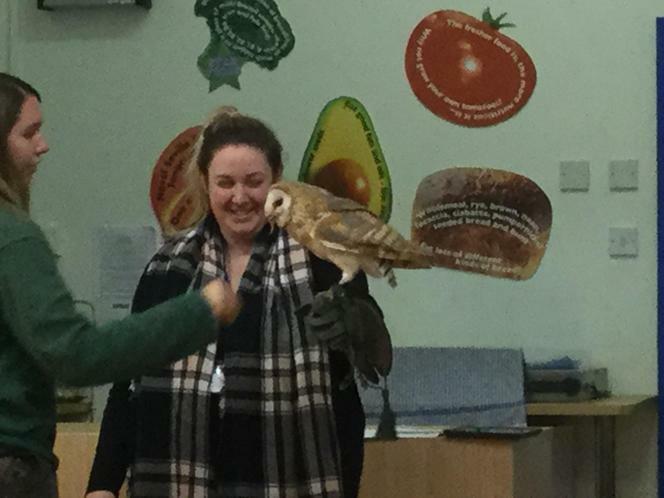 We met Colin the Falcon, Marshall the Great Grey Owl, the Snowy Owlet and Smidge the Barn Owl. 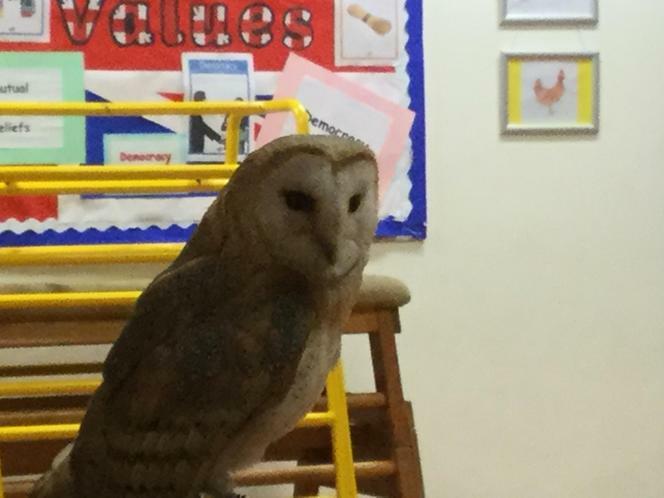 We found out birds of prey have different coloured eyes, why we can't hear the owls fly and why owls have flat faces. 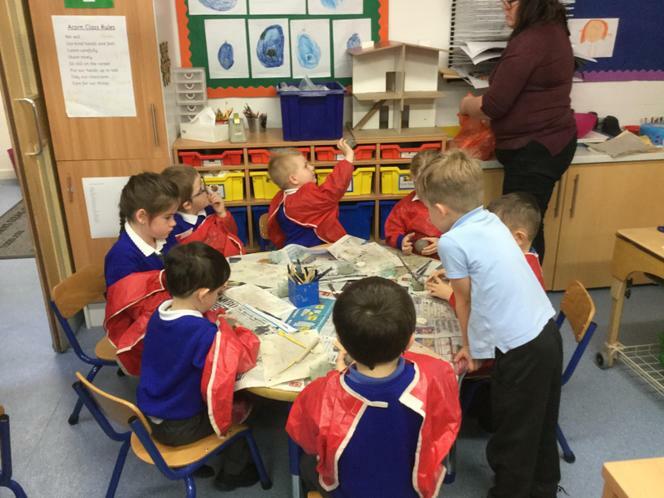 The Arctic birds have lots of feathers to protect them and keep them warm. 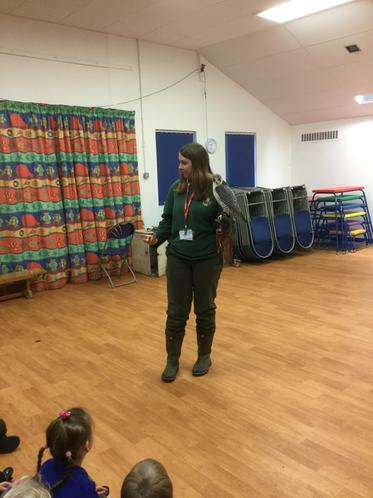 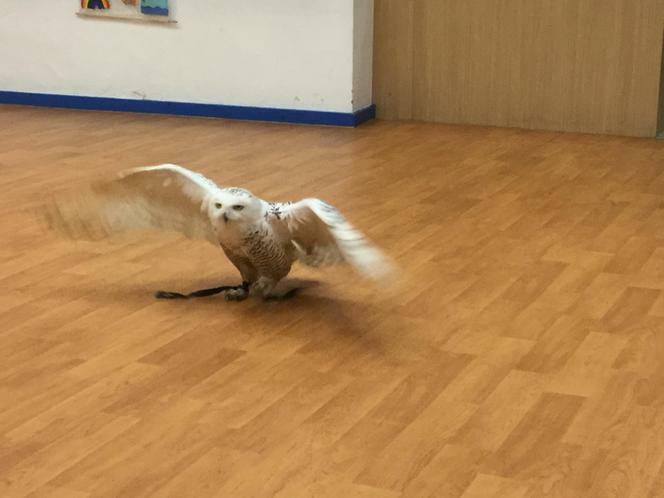 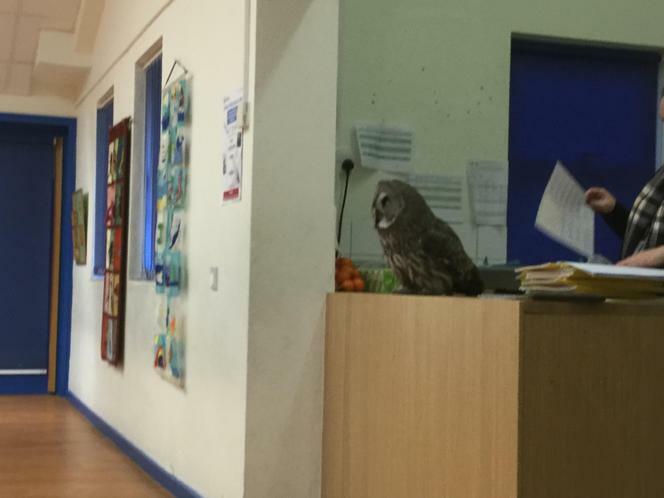 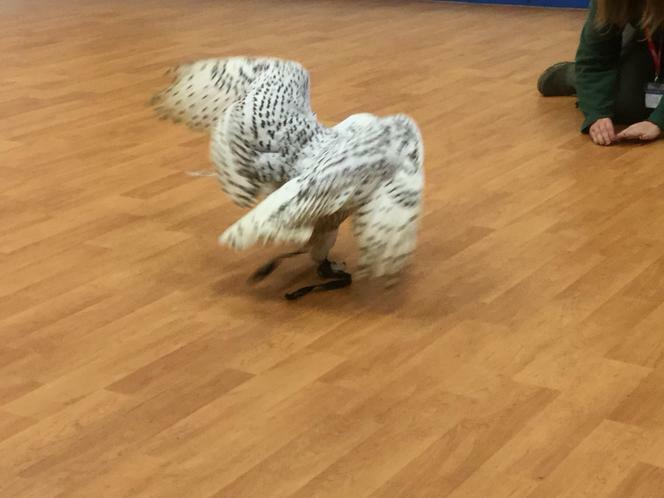 Thank you to Bedford Birds of Prey Centre. 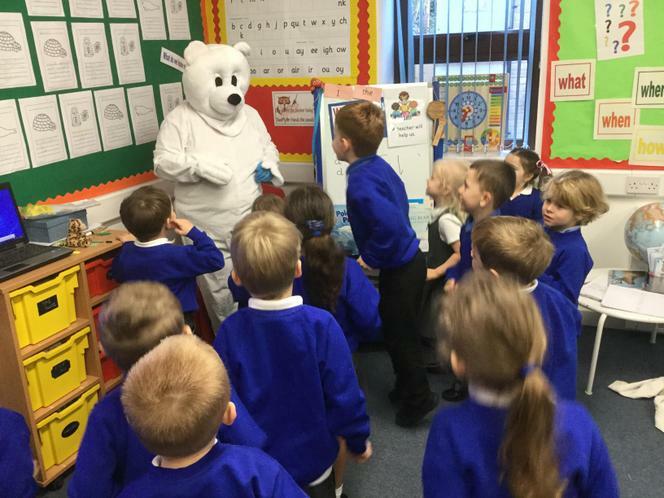 We are learning about life in the Arctic in Acorn Class. 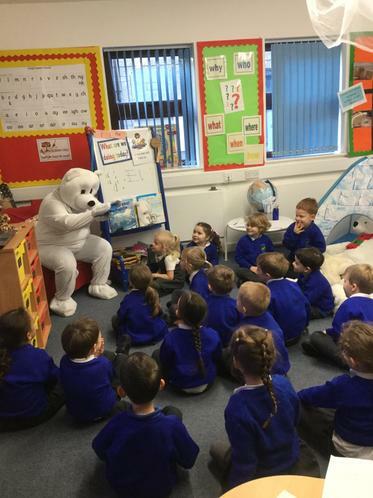 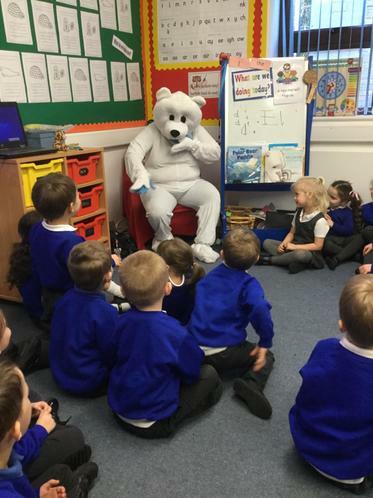 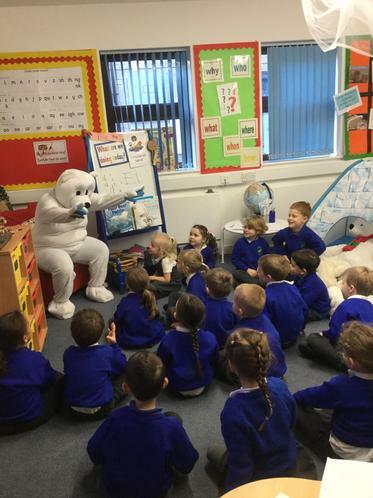 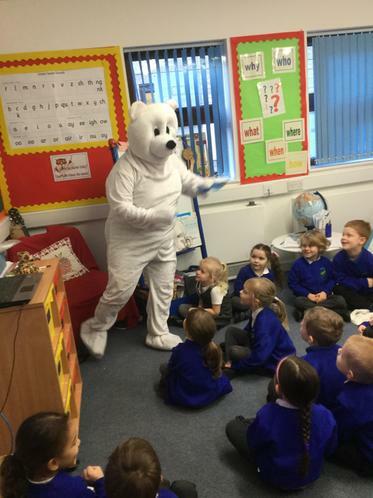 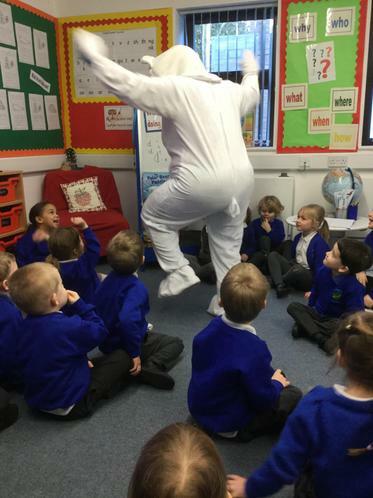 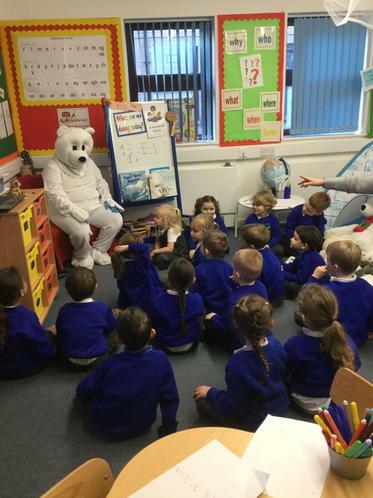 Pip the Polar Bear heard that we had lots of questions and came for a visit to tell us all about where he lives. 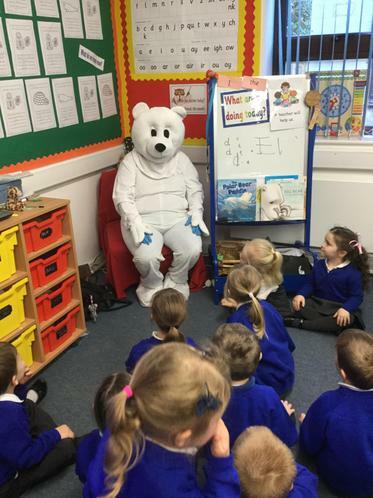 He told us about the snow and the ice and the other animals in the Arctic. 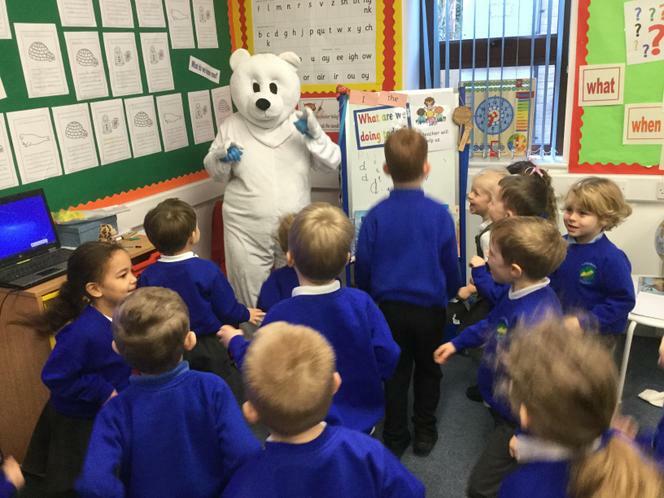 Did you know that Polar Bears have black skin but they look white because their hair reflects the light? 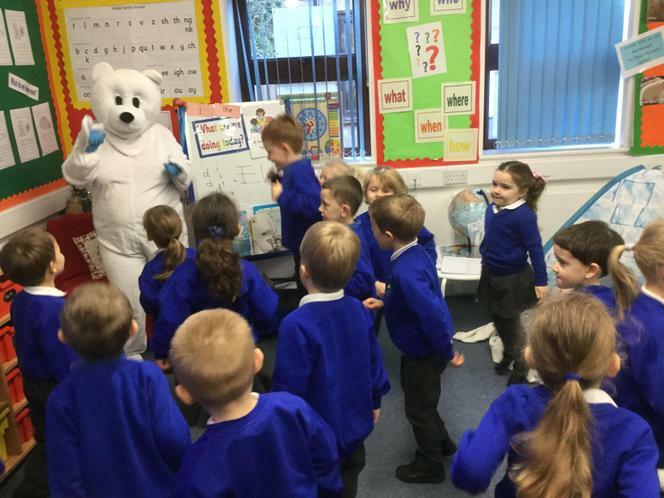 They have big pads on their paws so that they can walk on the snow and ice. 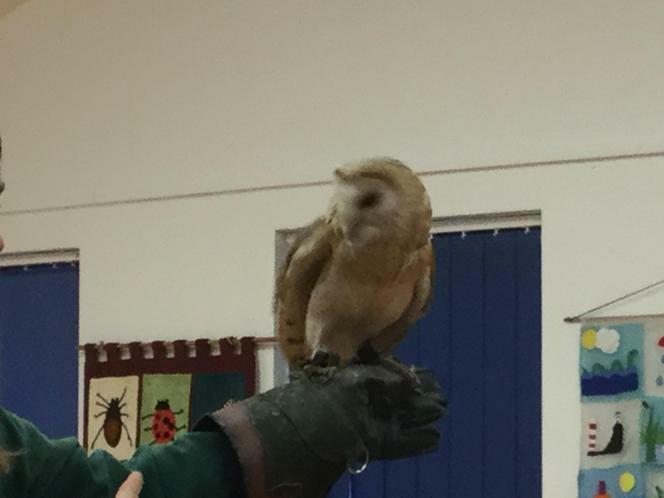 They have very small ears so that they keep warm and use their nose to help them sniff out what is going on. 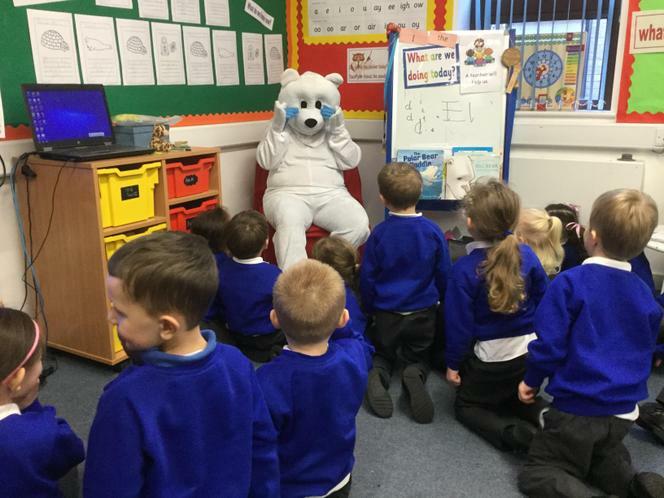 Polar Bears and Penguins do not live together because the Polar Bears live in the Arctic and Penguins live in the Antarctic. 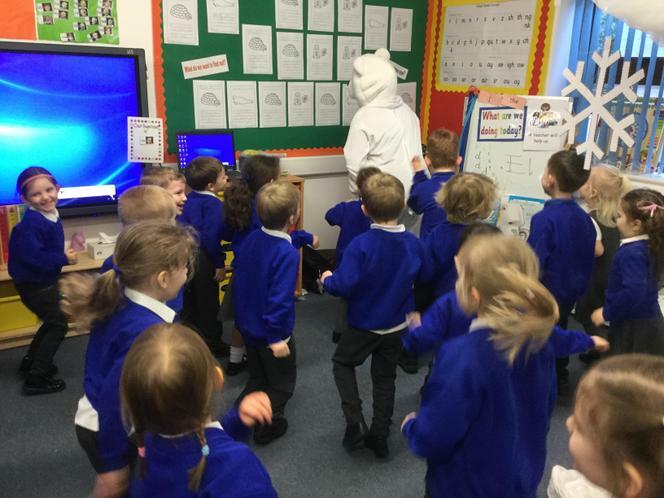 We played our Polar Bear song to Pip and to our surprise he showed us how to dance to the song. 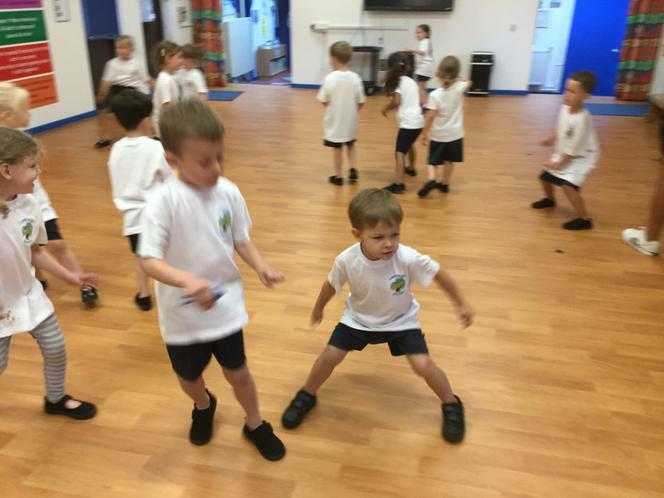 His bottom wiggle is very similar to the bottom wiggle shown by Mrs Watson on Disco Fridays. 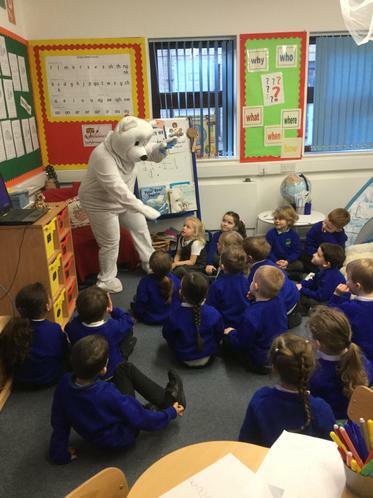 We loved meeting Pip and learnt lots about the Arctic. 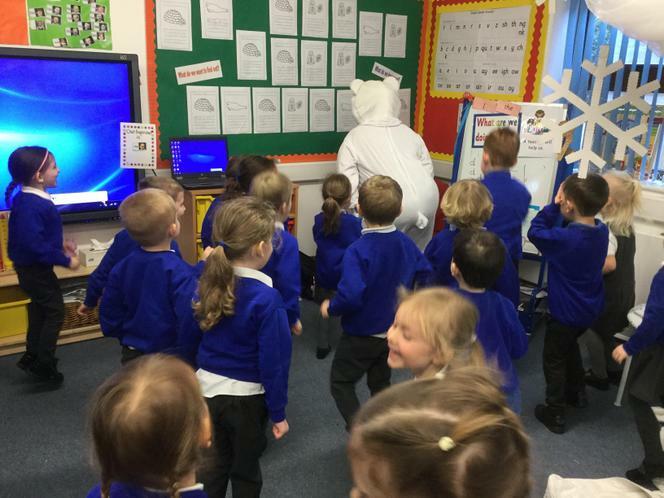 This week we are having great fun acting out our own Gruffalo stories. 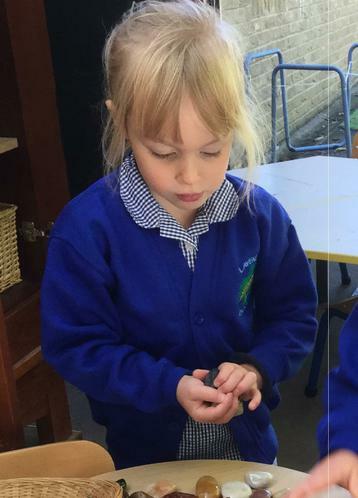 The mouse found a nut and the nut looked good...what happened next? 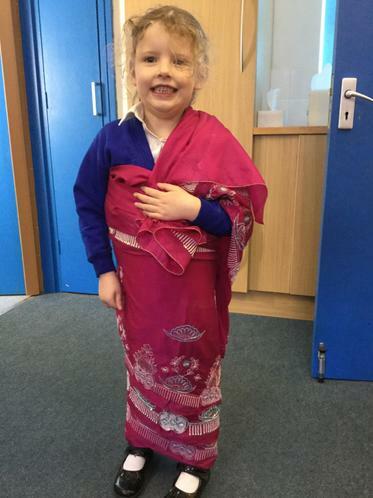 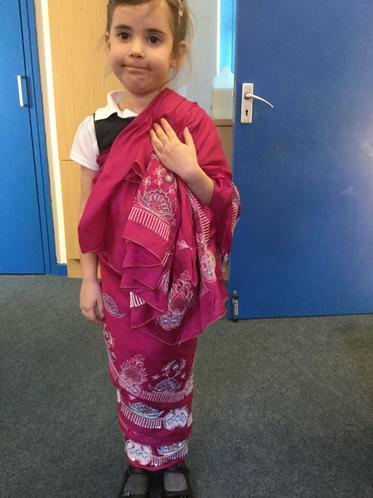 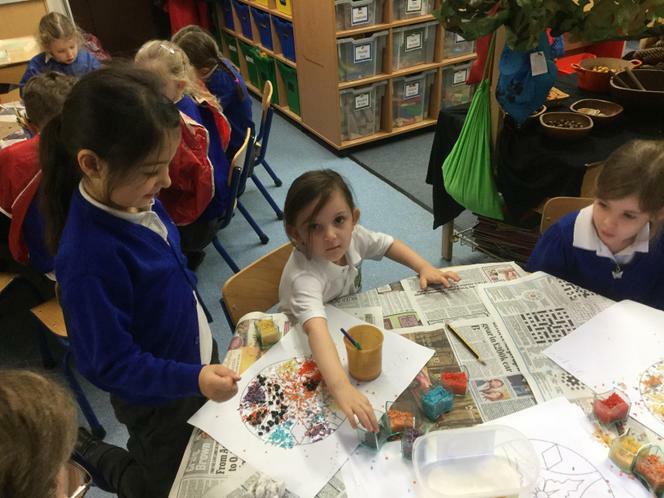 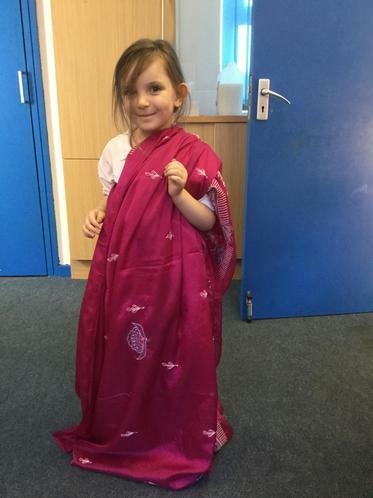 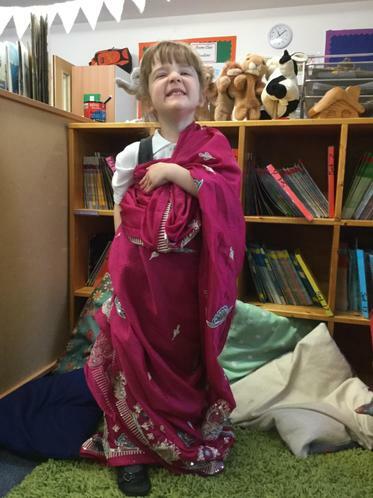 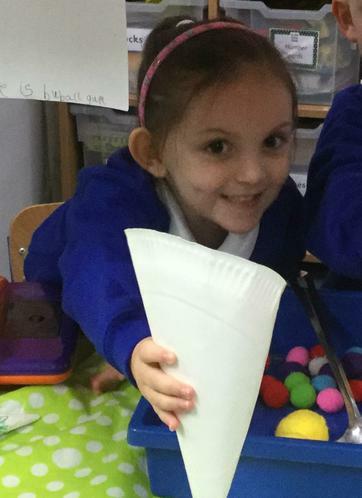 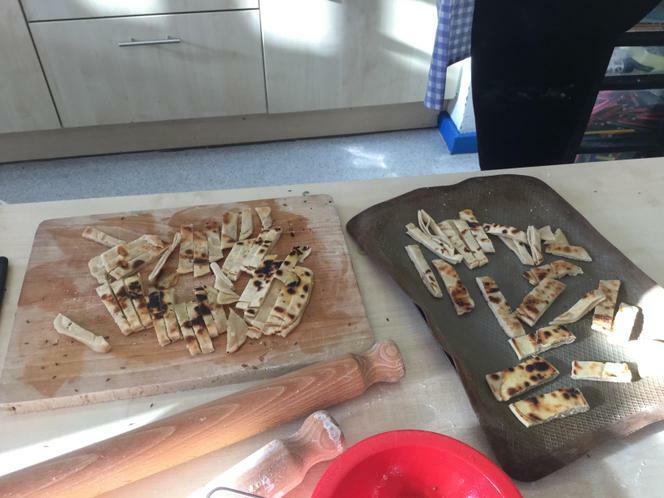 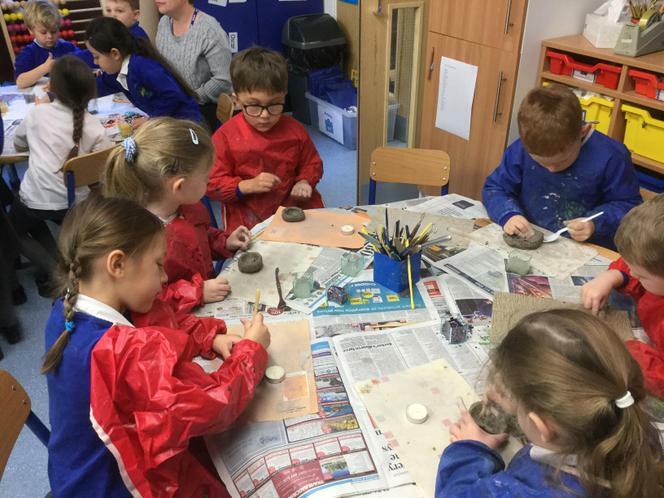 Acorn and Chestnut class had fun exploring Diwali traditions. 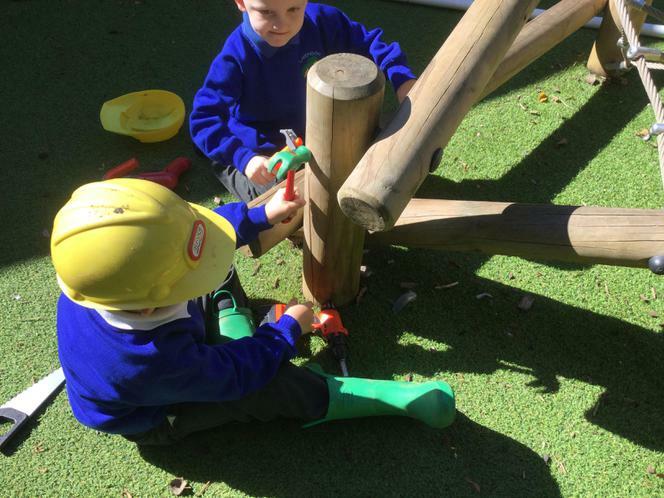 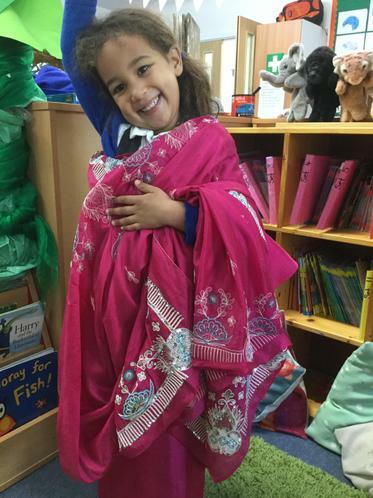 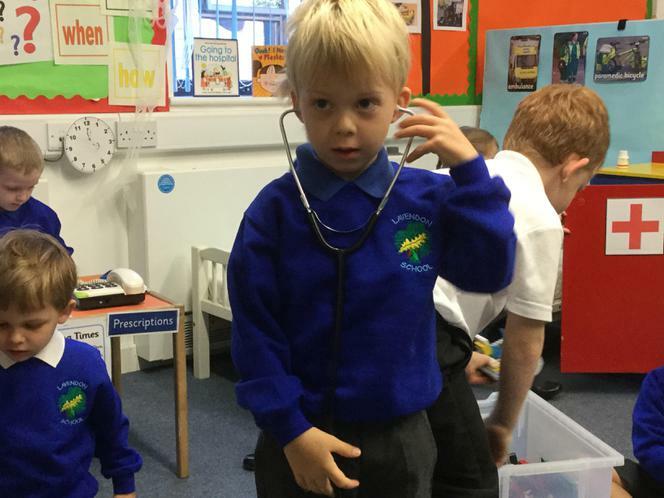 We have had a wonderful week back to school after our half term break. 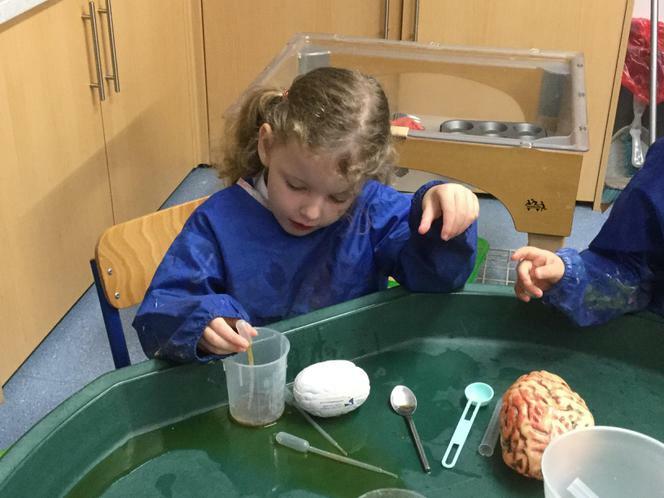 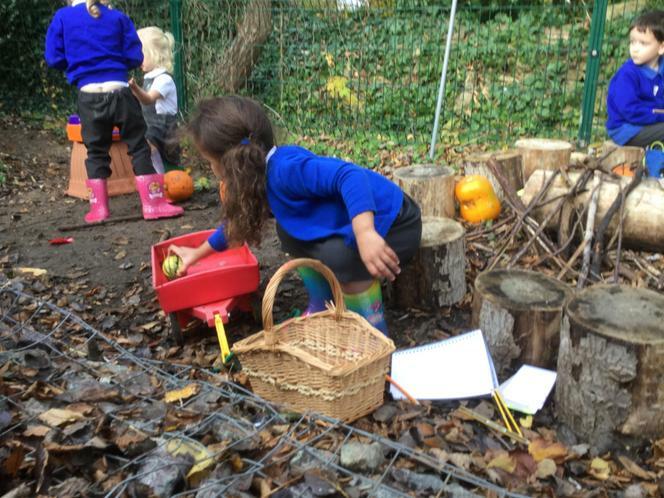 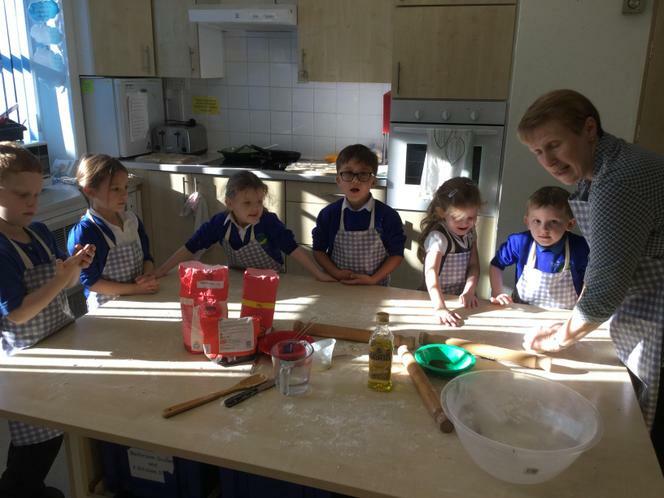 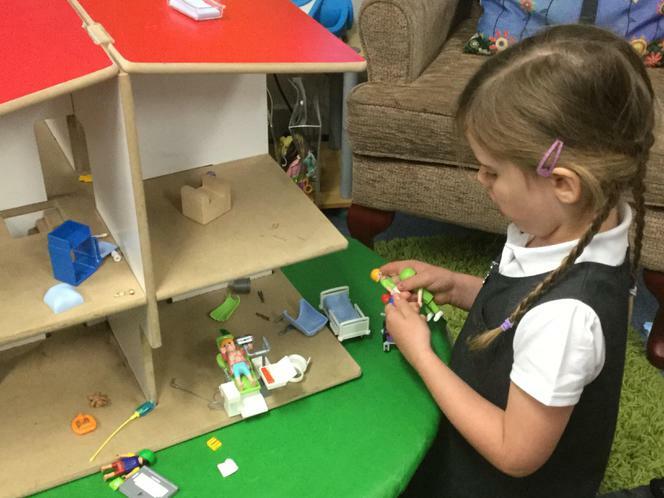 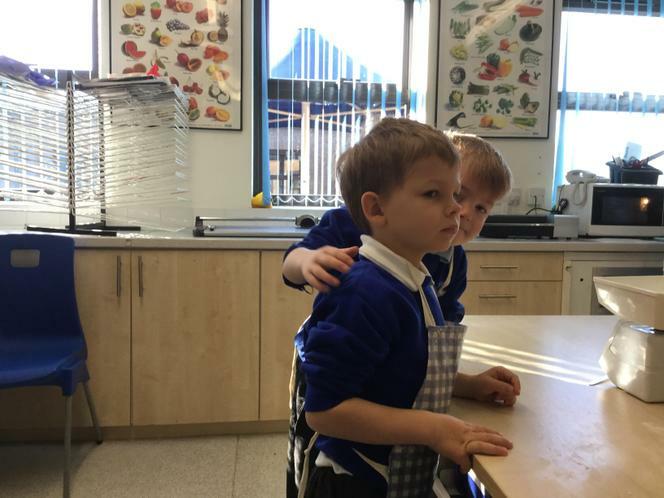 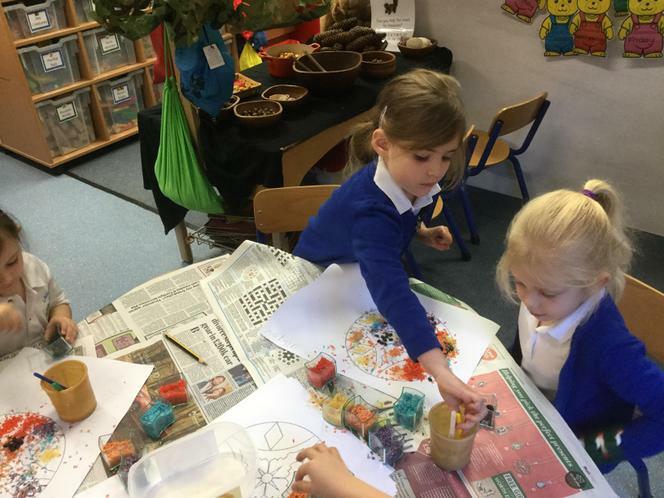 We have been playing in the Bear Cave and preparing culinary delights in the Squirrel's kitchen. 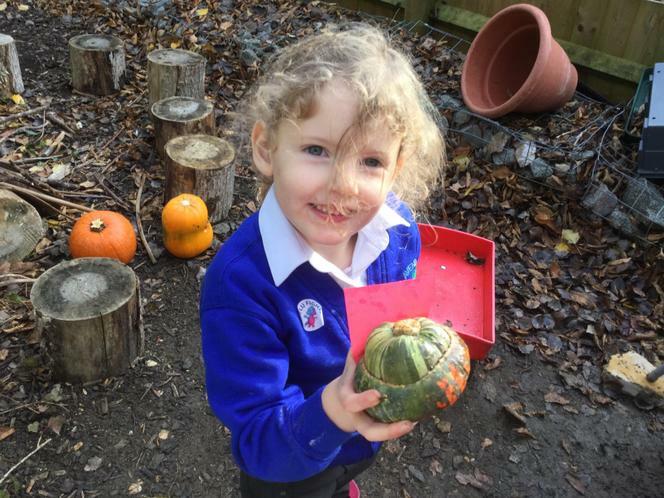 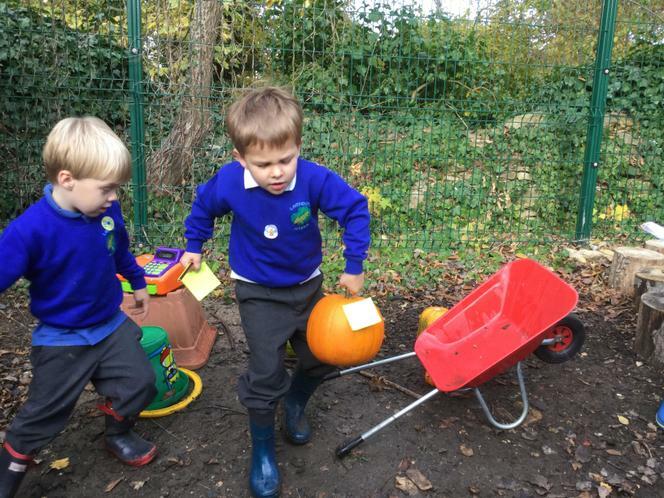 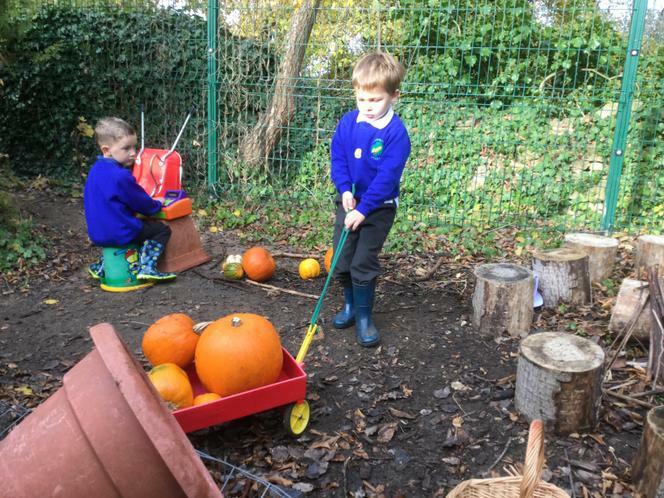 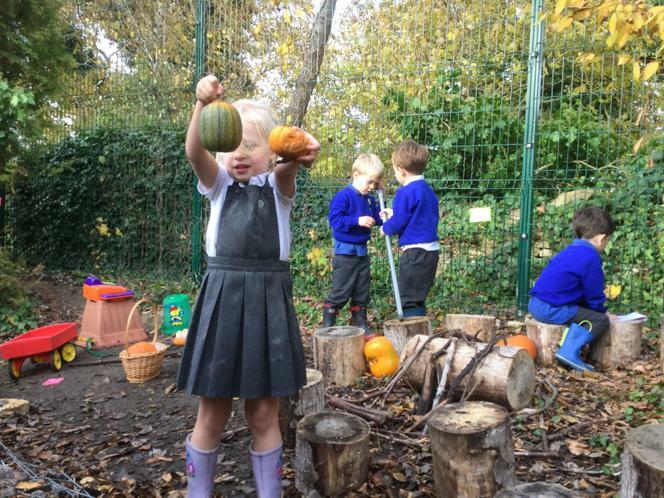 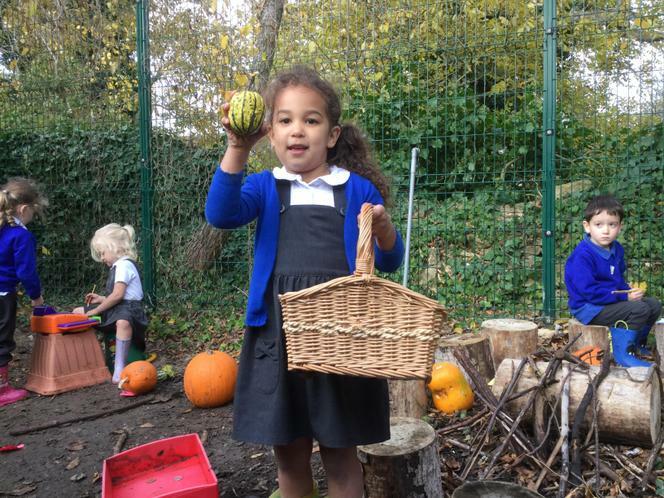 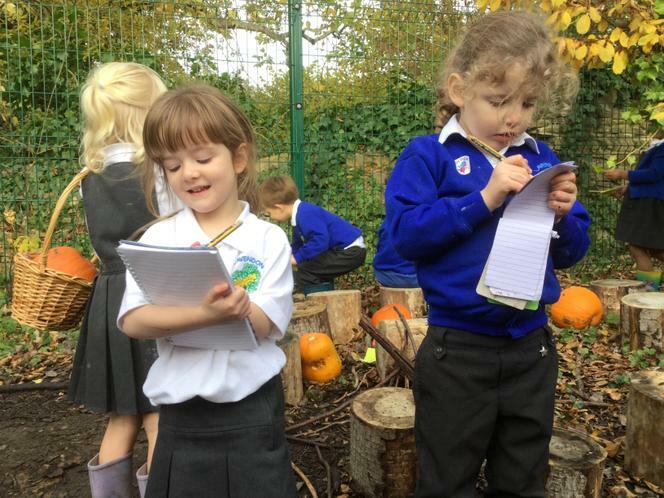 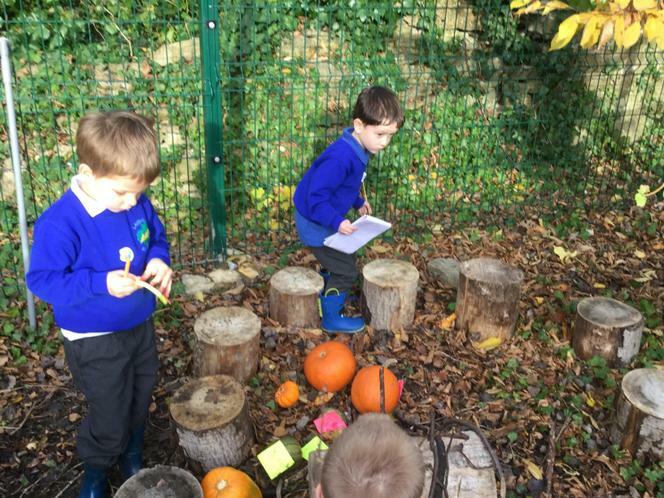 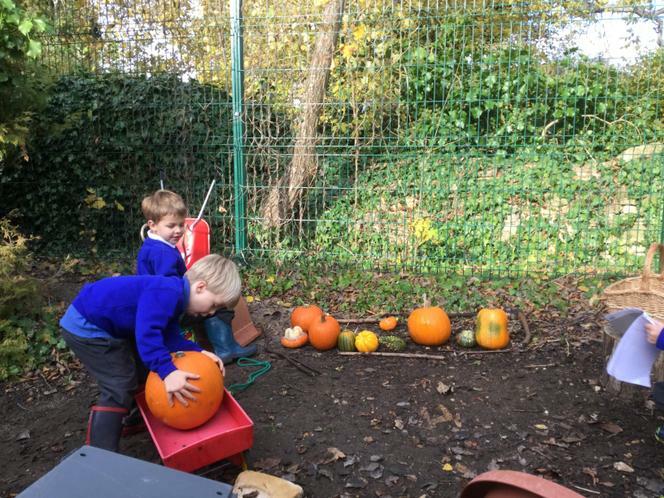 Best of all we have planted our own pumpkin farm where we have weighed, measured and ordered pumpkins. 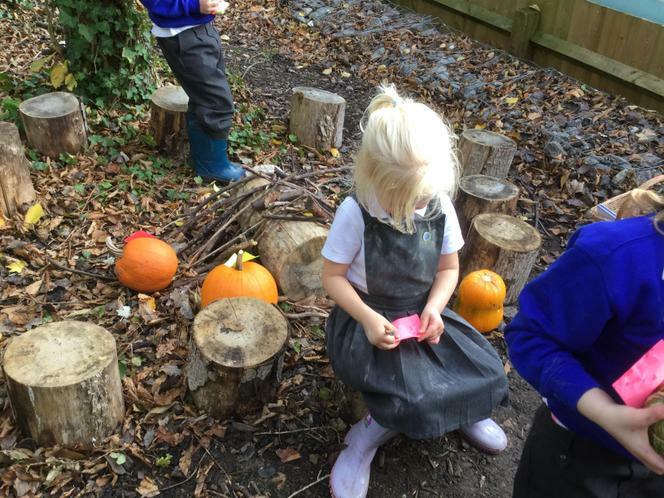 Some of us made our own pumpkin hunt with clues on post-its. 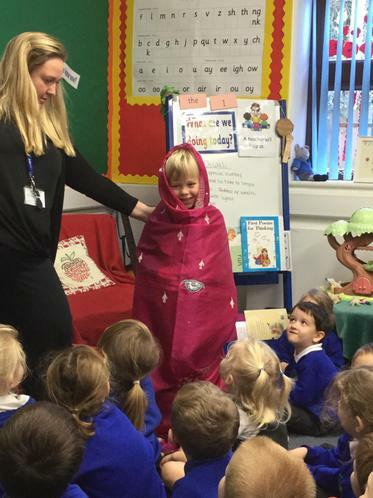 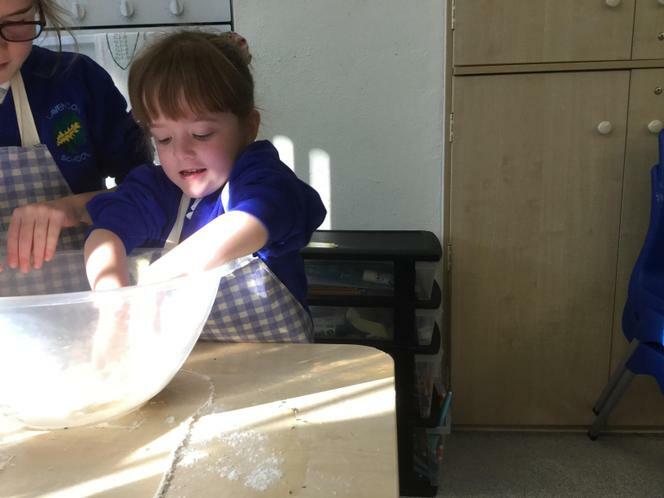 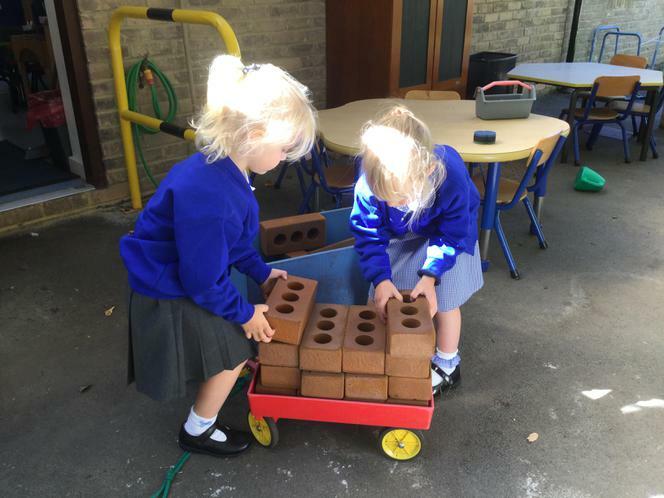 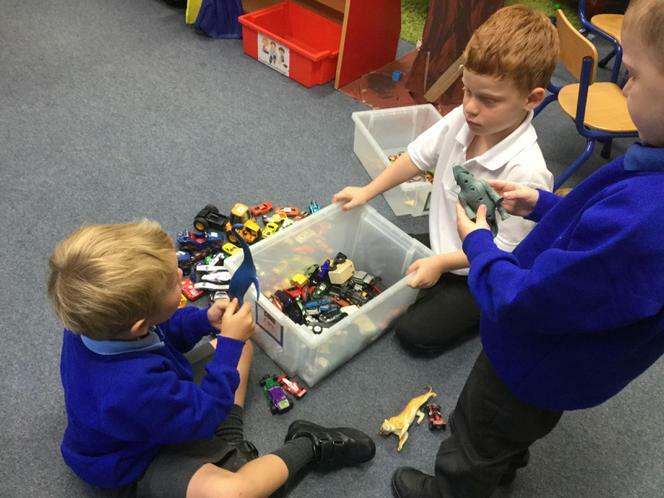 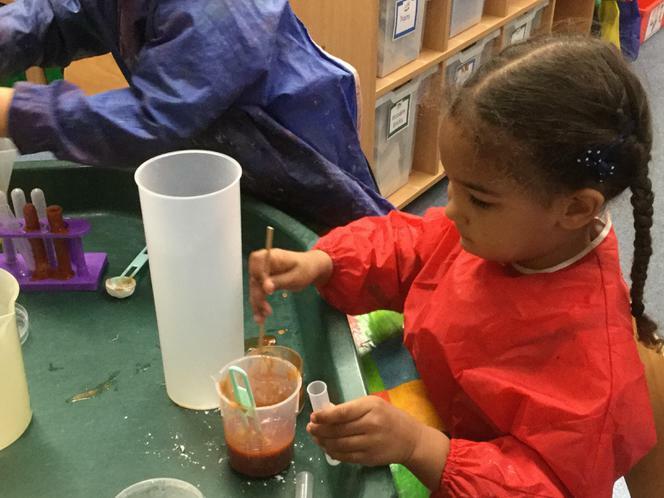 Thank you to all those that donated to Acorn Class this week. 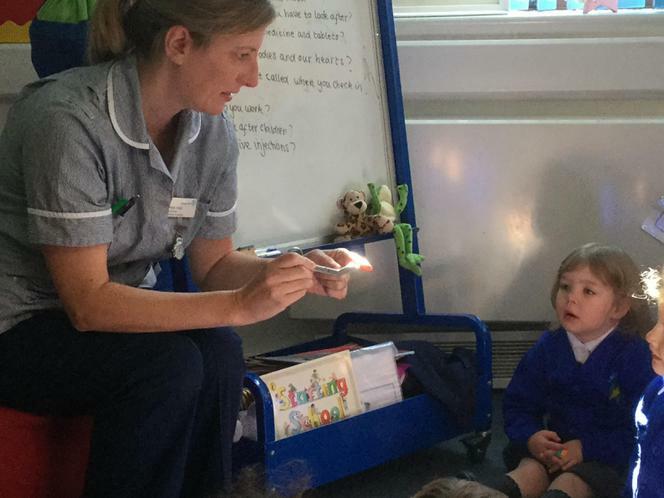 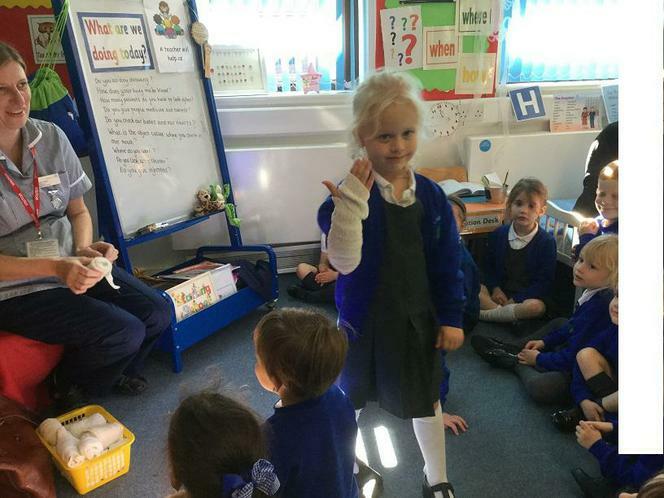 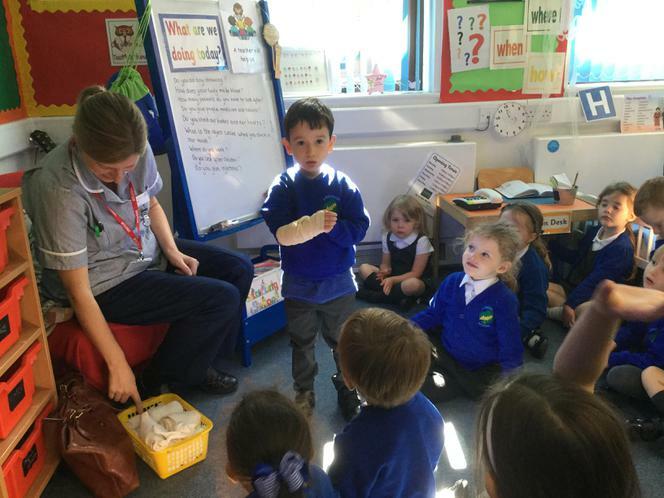 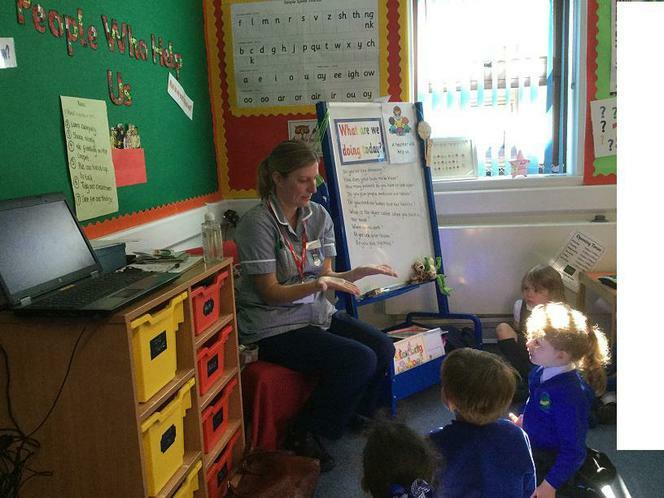 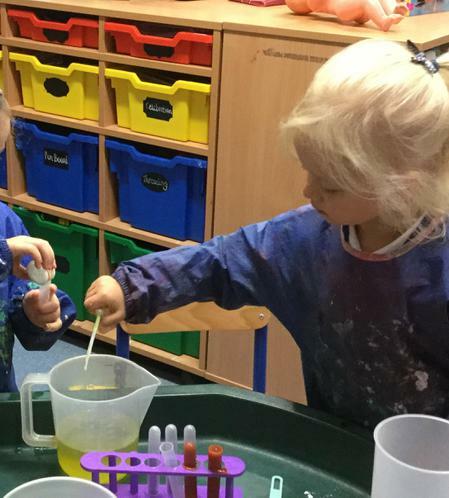 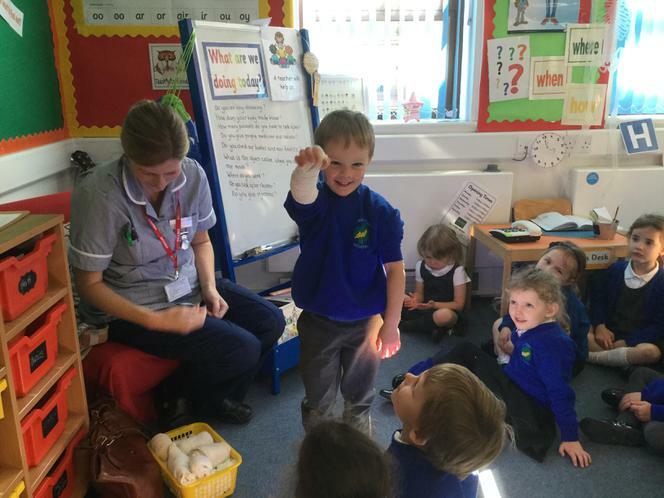 Today Nurse Helen came to visit and show us how to wash our hands properly. 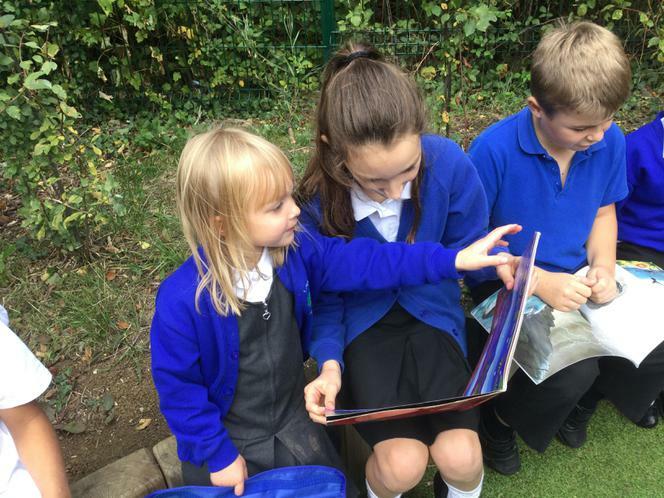 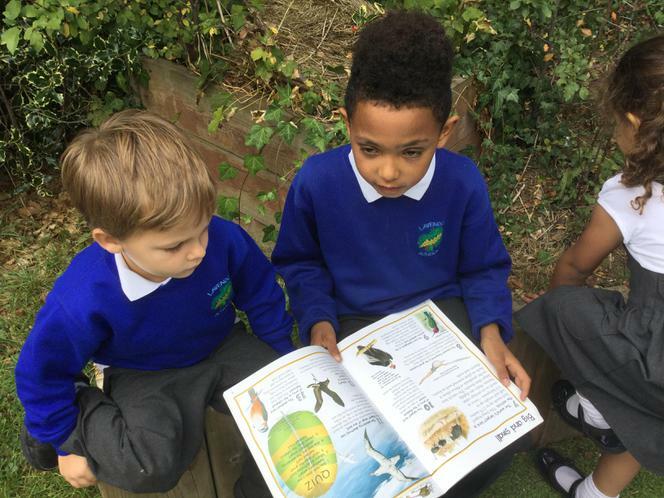 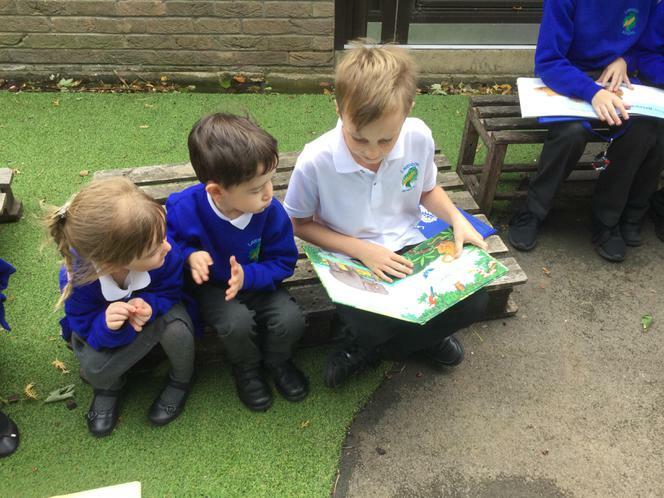 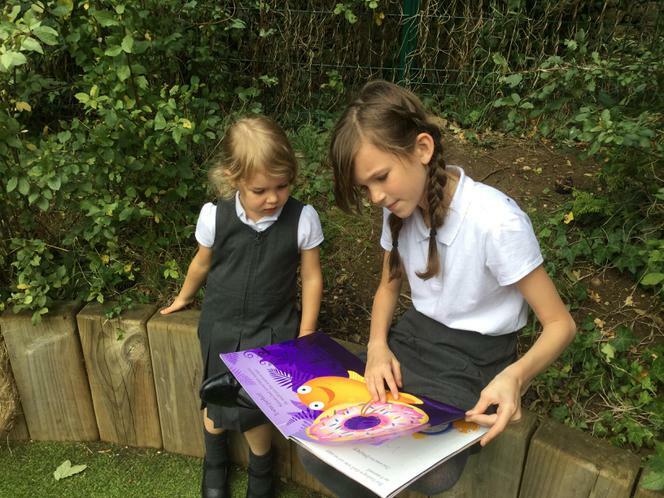 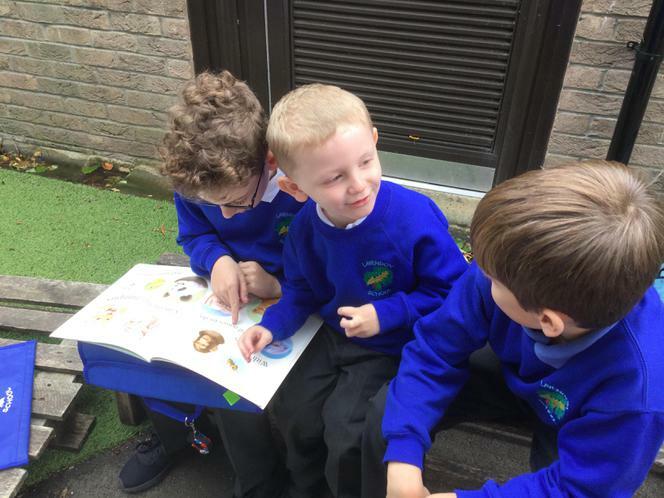 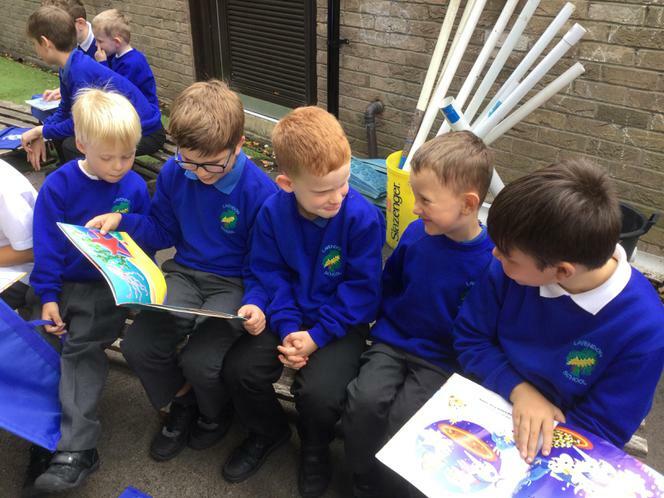 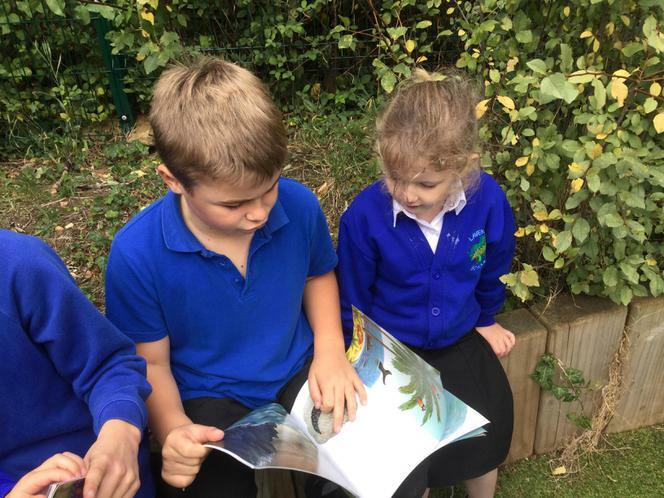 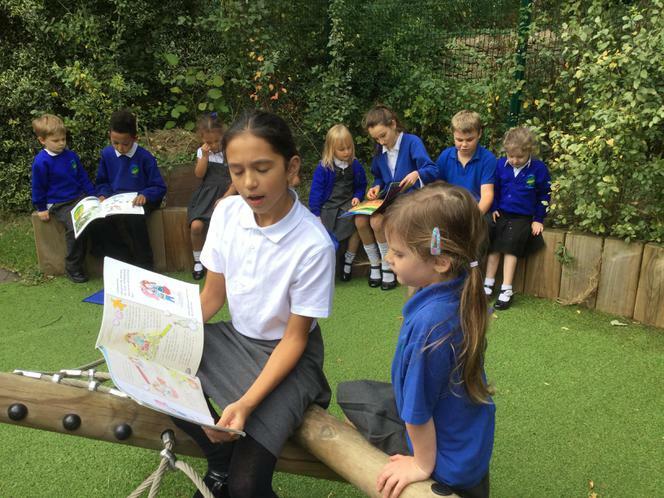 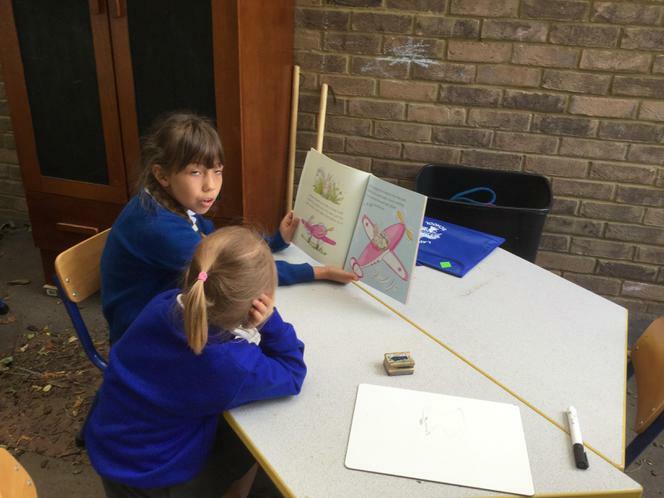 Have you met our reading buddies? 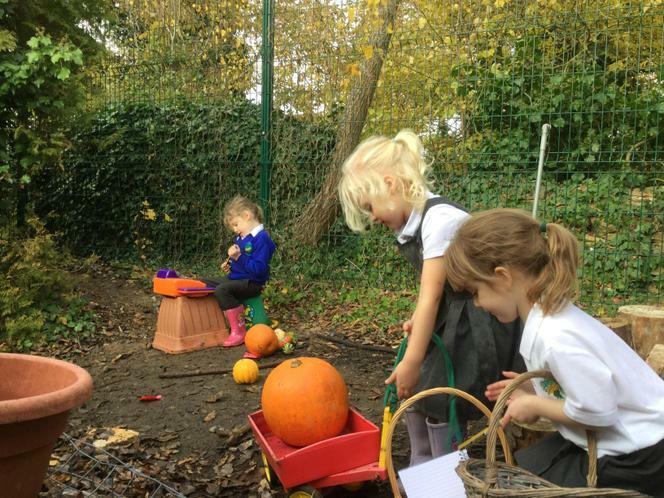 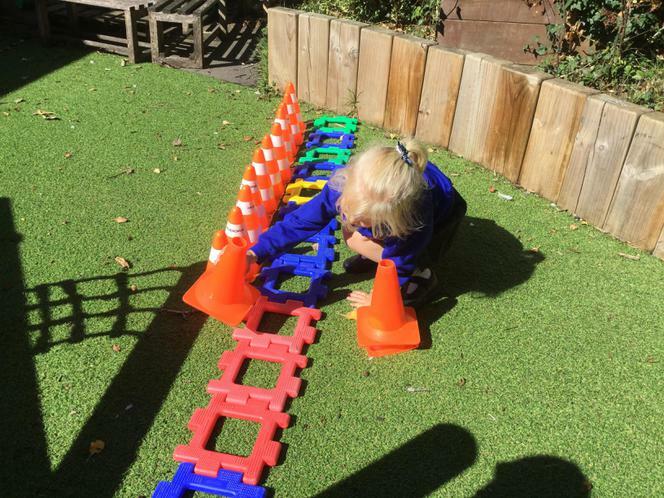 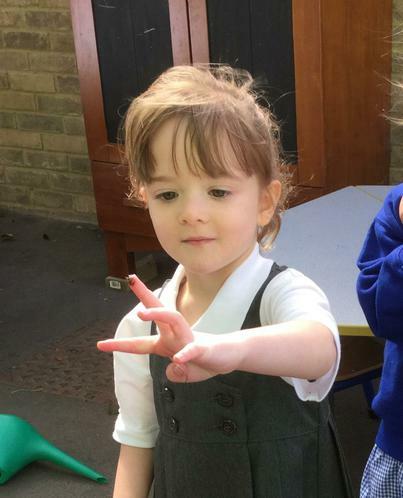 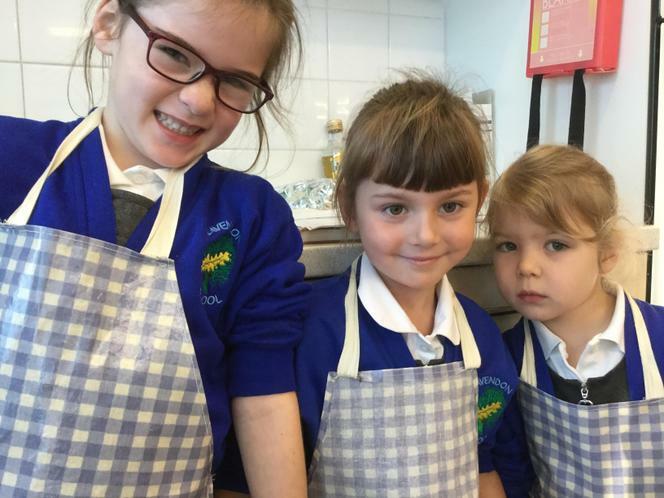 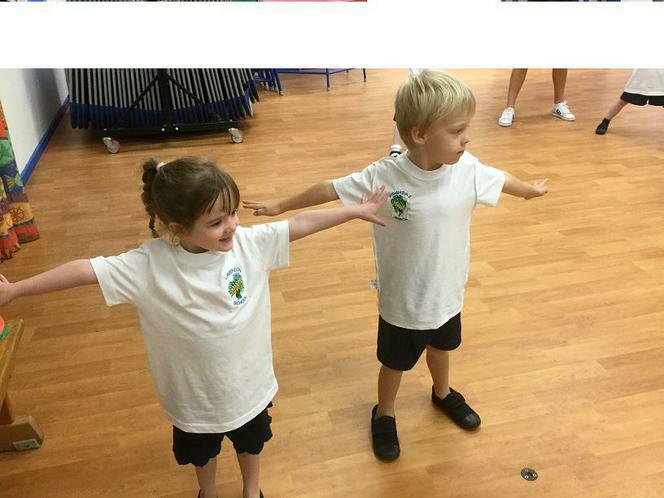 A wonderful first day for our little Acorns.